I'll explain what goes in this, it's ridiculously simple! Ok well first, please start with a lovely and uplifting tea cup. 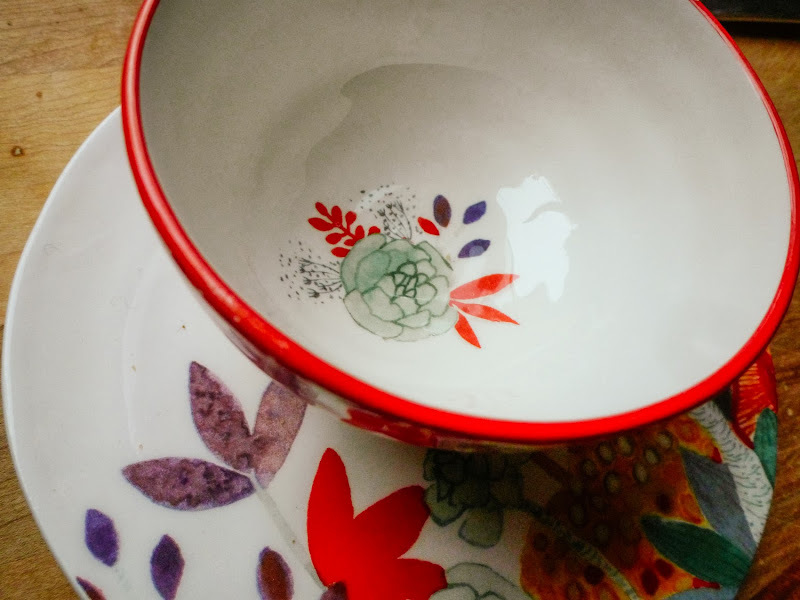 Once a year, my husband goes to The Prettiest and Most Overpriced Store in The Universe, aka Anthropologie, and buys me a teacup for my birthday or for Christmas. Oh Anthro. I always say that when talking about this establishment. Oh Anthro. So darling. So pretty. So wacked out with the pricing of various, most, all of their items. Too harsh? Oh Anthro. I love you anyway. 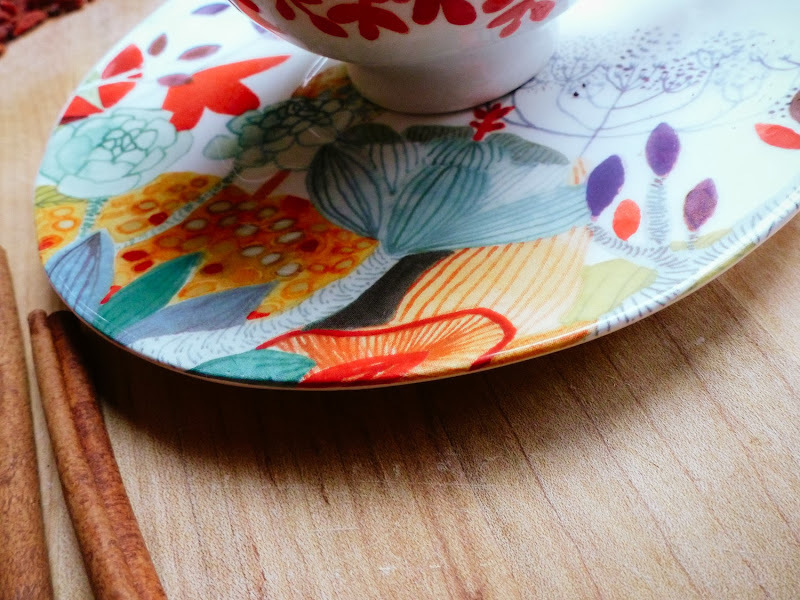 I got this tea cup many many months ago and I've been waiting for just the right post to show it off on the blog. So go get your favoritest tea cup or mug and trot that little cutie pie out. Ok I hope I don't instantly lose you when I say that this is Goji Berry tea. I can hear you now, it's what I would say if I were reading it on another blog: Where am I supposed to get THAT?? Huh? I got mine at a Portland area Asian tea shop. But you can get yours here. 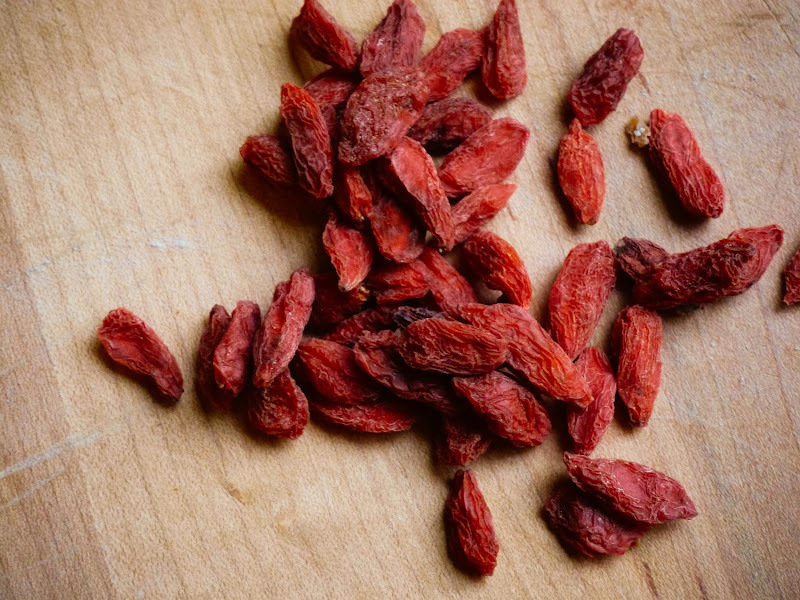 Goji berries are some kind of super food supposedly. You can just eat them dried, but here's what happens when you soak them in boiling water -- they become all plump and soft! And float around looking pretty! And here's how it all went down one day. One day Julia said "let's invent a tea." And I was like, "OH YES LET'S!" So we looked around the kitchen and started throwing things into our tea cup and then poured boiling water over it, and it turned out fab and we were SO PROUD of ourselves! 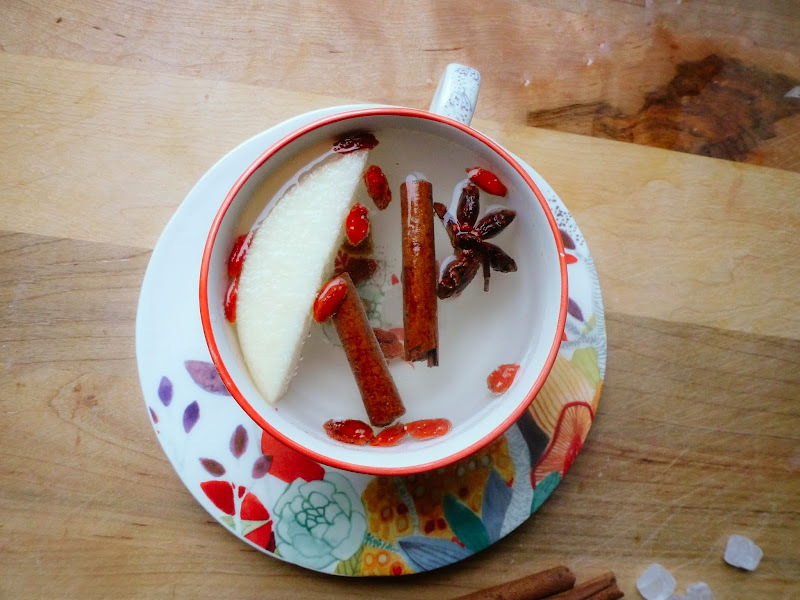 You also need some cinnamon stick and some star anise. You don't need as much as I've shown here, that's just for photo prettification purposes. 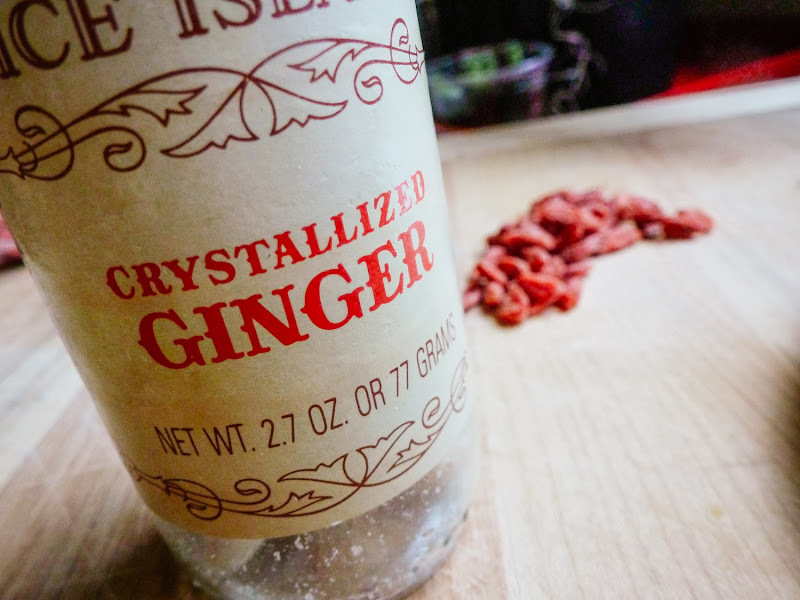 We threw in some crystallized ginger as well. These didn't fully dissolve. That's ok.
At this little tea shop I mentioned earlier, we found a packet of little sugar rocks. I love these little sugar rocks! 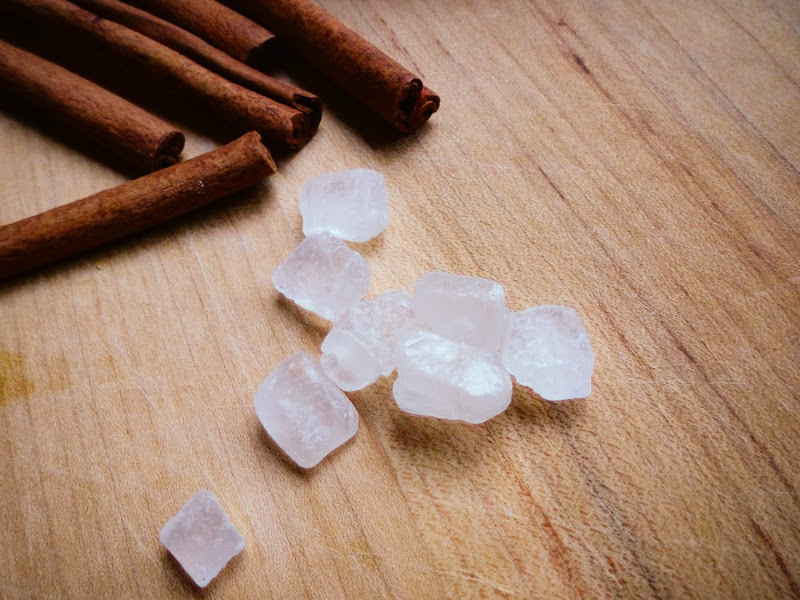 Except sometimes one sugar rock is Not Enough for me. Sometimes, all the time, I need at least 2 sugar rocks. You could also use a sugar lump. I'm guessing that one sugar lump might equal two sugar rocks. We threw in a slice of apple because IT LOOKED PRETTY. And there you have it! 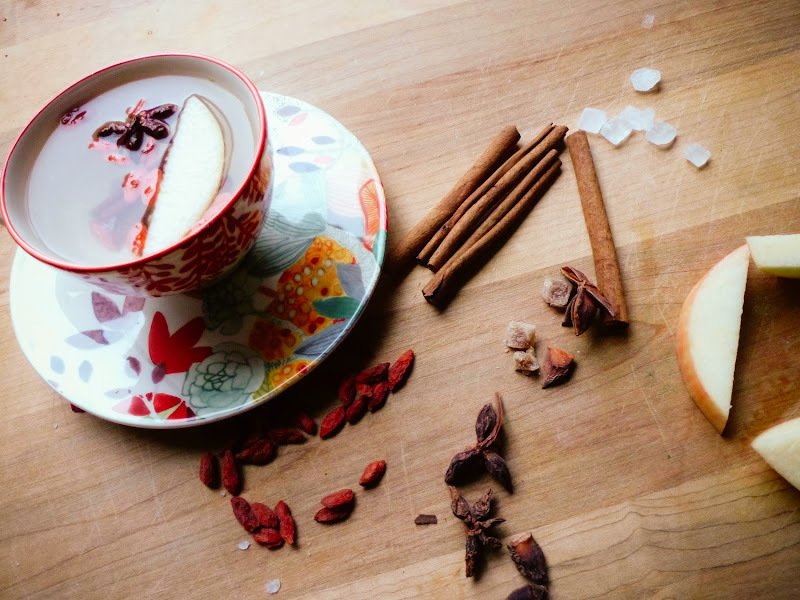 Our goji berry tea! 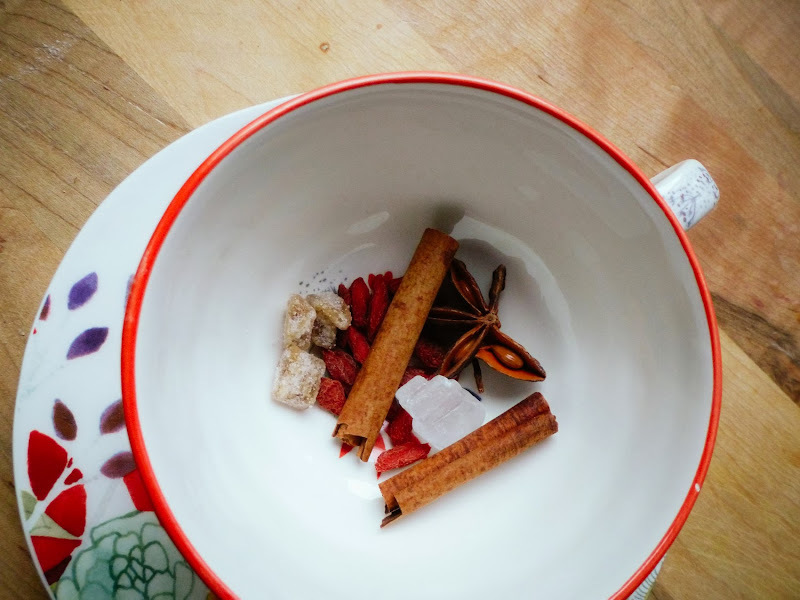 Which tastes mostly like cinnamon and star anise! Which is very yummy! Here is a more thoughtfully written out recipe, which I'll have you know that my 7 year old tea brewing guru child wrote out for me, and it was the cutest thing ever and I love her and she's the sweetest. 1.) Boil a cup of water. 3.) Add one sugar rock or lump. Or two. 4.) Add one apple slice. 5.) 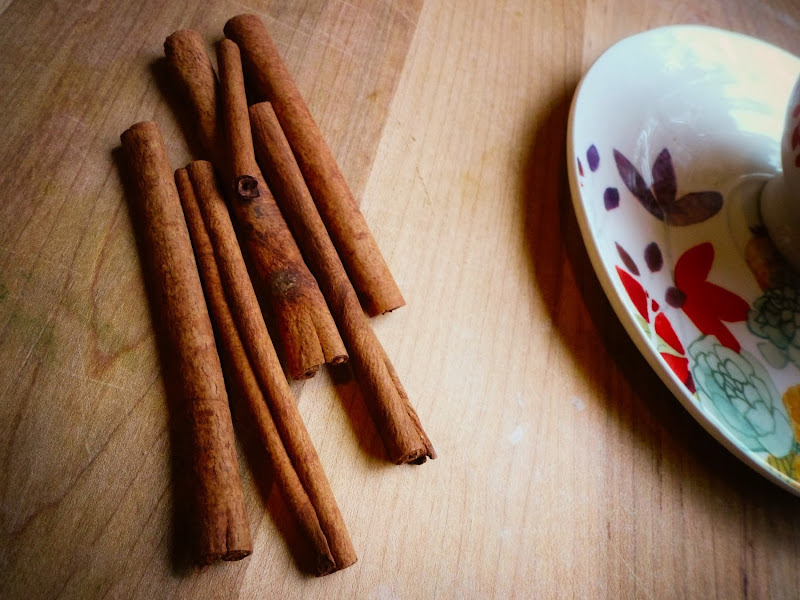 Add one cinnamon stick, broken in half. 6.) 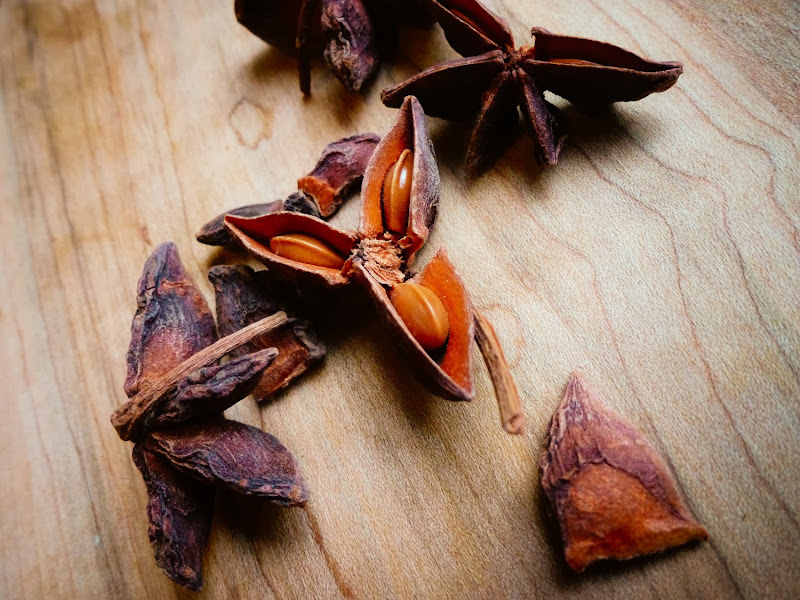 Add one star anise. 7.) 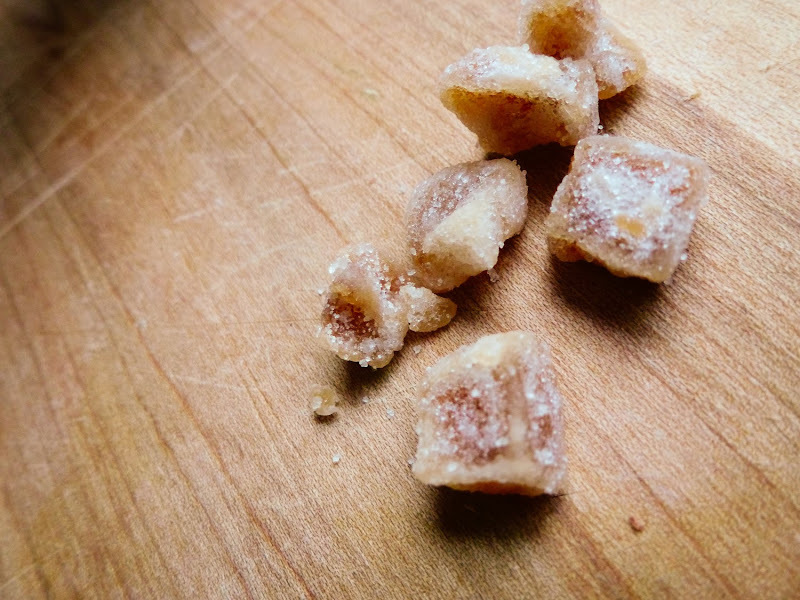 Add two or three pieces of crystallized ginger. 8.) Steep for 5 minutes. THIS IS SO GOOD, you guys! Really light, yet flavorful, with a hint of fruity. 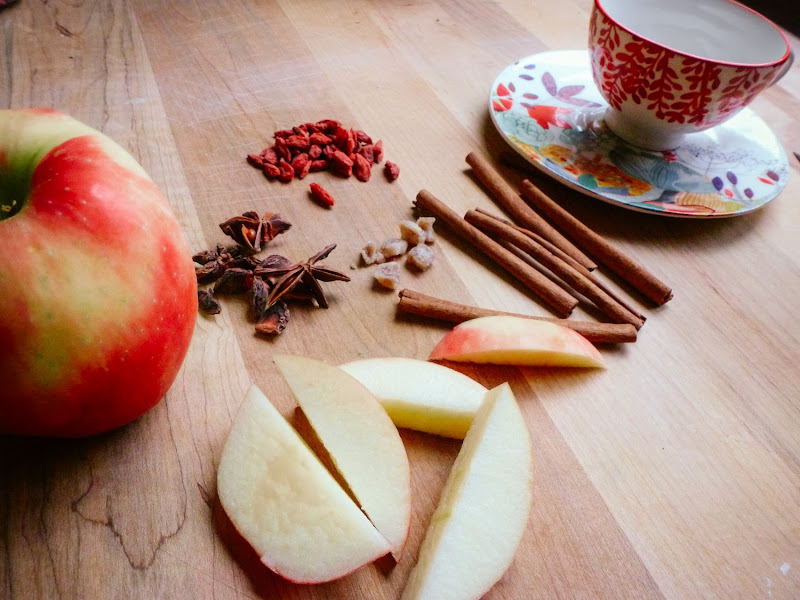 It's a tea you can also snack from, because you can pluck out the berries and the apple slice to eat after your tea is drunk! We really loved it so much that we're going to make little sachets and give them away as gifts at Christmas time. 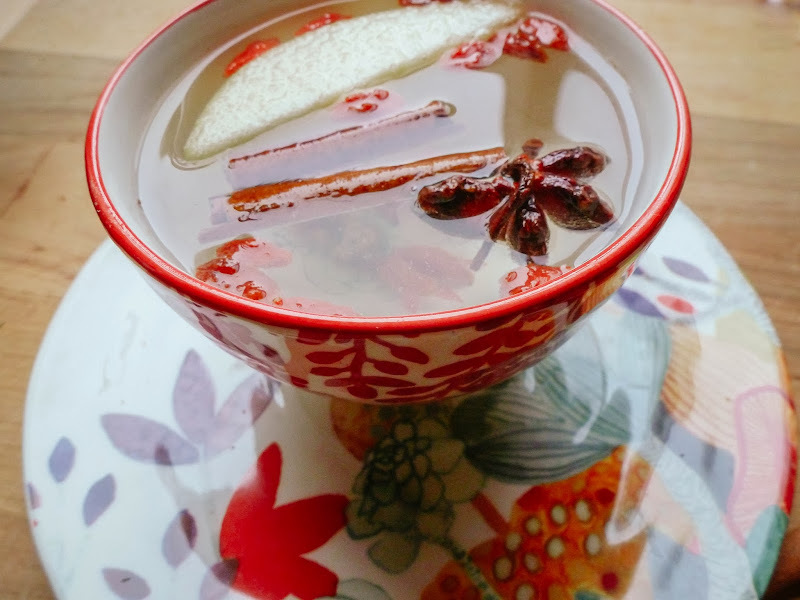 If I were super awesome, I'd give the tea mix tucked into a little tea cup as well, but I can tell you, I'll probably be getting tea cups from Cost Plus, and not Anthropologie. Oh Anthro. Sounds awesome. I wanna try this. I think a swirl of orange peel would also be nifty. LOVE your photography here! What beautiful tea! And cup and saucer, too. WHAT??????????? You come visit me. We will go. And ponder on many things there. You make me want to try that tea right now! Yay for Miss J being so inventive and taking the initiative! I want a little girl who loves tea :D Your pictures are great by the way. And I am jealous of you for having such a lovely cup! My husband rolls his eyes whenever he walks into that store and laughs at all the price tag. But he does not buy me anything.... Gotta work on that, right? Andrew says he's going to there and just buy me a doorknob. Or dresser knob pull thingy. Gorgeous, gorgeous, gorgeous. And I do want that teacup and saucer. 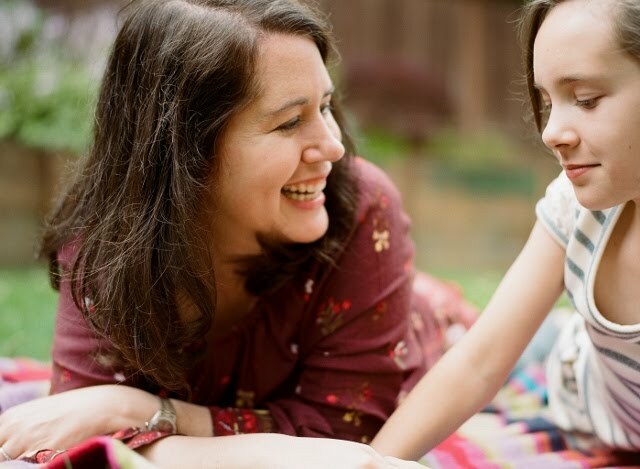 You guys are the very most adorable mom and daughter in the whole entire world. and thats the truth. oh good! You're both human ;) before school yesterday both Dax and I were completely in tears... I had to call my mom over to help! Mother hood, who knew. 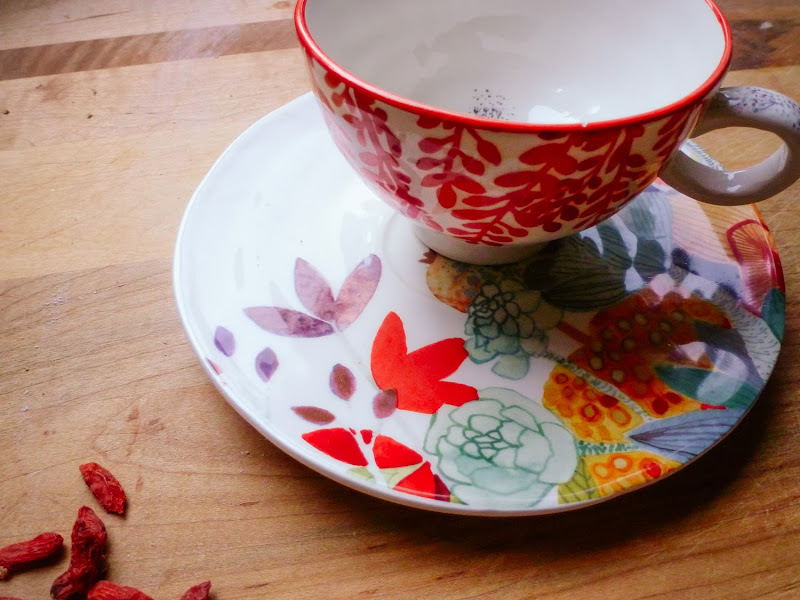 I had no idea that Goji tea even existed. This seriously sounds delish though! And I love your cup and saucer- they're both beautiful. Awesome post! 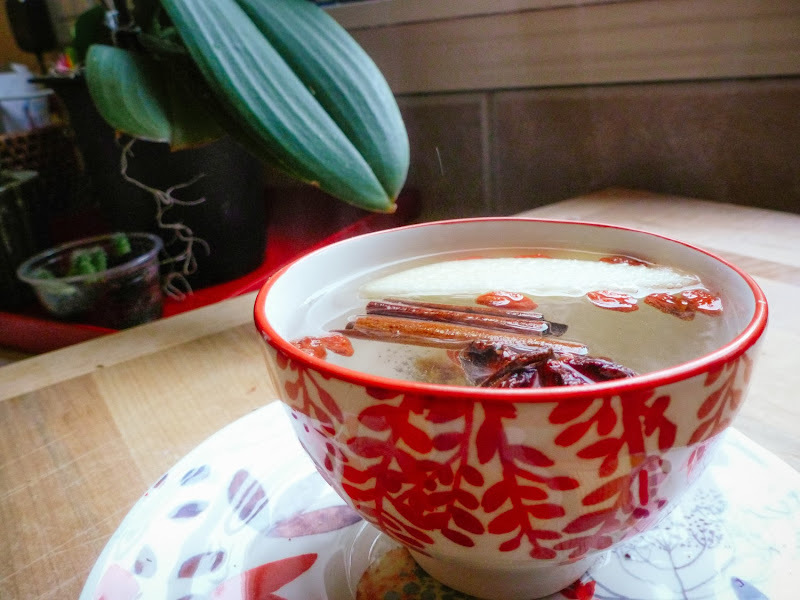 I never think about goji berry tea. Looks so healthy tea. I always take goji berry juice because it has lot of health benefits. goji berries can give you normal health balance, you may experience better sleep quality that will prepare your body for the day to come. I will surely try this tea. Thanks for the nice recipe.